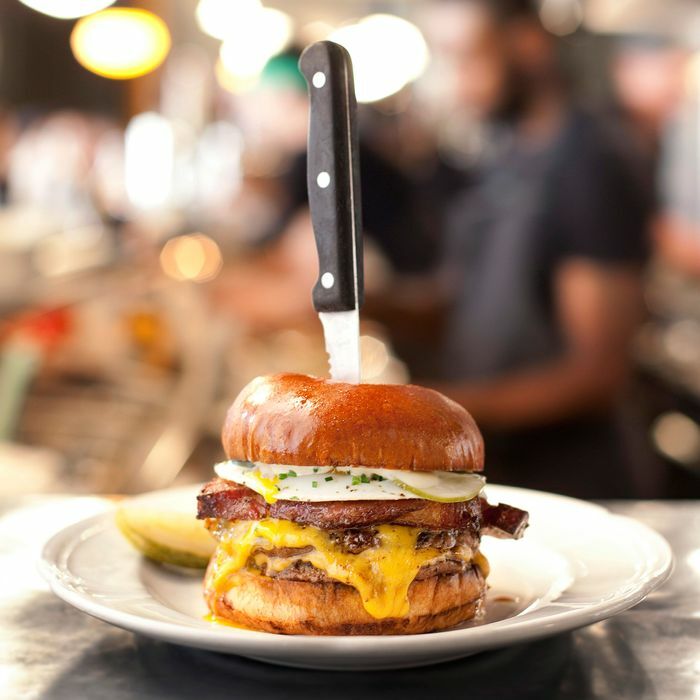 Two of the country’s most celebrated and in-demand burgers will be available together, in one restaurant: On October 10, starting at 5:30 p.m., Chicago’s much-acclaimed Au Cheval will join Clinton Hill hit Emily for a burger bash at Noho’s Chefs Club. Reservations, available here, will likely go very fast, as these two burgers — which will run $18 each at the dinner — have been praised by just about everyone. The night before, October 9, the Au Cheval burger will also be available solo at Chefs Club. What makes the Au Cheval burger so incredible? It isn’t a fancy burger, but a classic griddled burger done exceptionally well. Served on a Z Baking bun that’s toasted on each side, it’s made roadside-style with two prime-rib patties that are both topped with American cheese, Dijonaise (mayo, lemon juice, and Dijon mustard), and pickles. 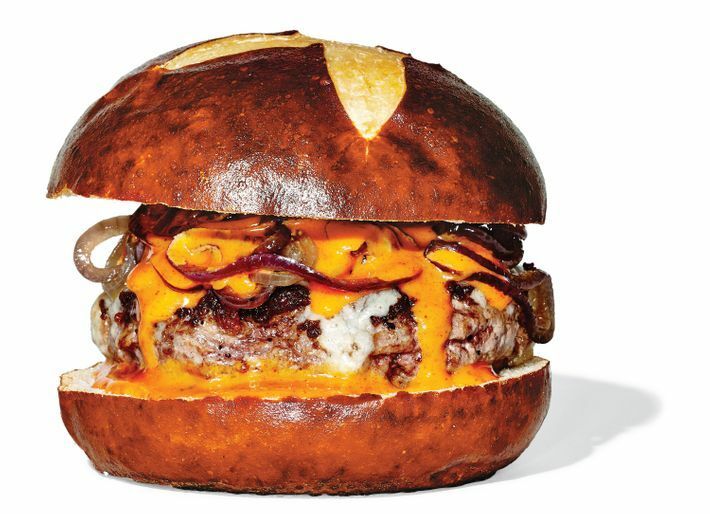 The Emmy Burger, on the other hand, is an exemplary version of the chef-y burger made with dry-aged beef that’s topped with sharp Grafton cheddar and served on a pretzel bun. Both burgers have received a fair amount of praise: New York deemed the Emmy burger one of the city’s most important and Bloomberg called it one of New York’s best new burgers in 2015, while Au Cheval’s cheeseburger is a regular on national best-of lists, with Bon Appétit writing in 2012 that it “might be our favorite in the country.” Waits at both restaurants, it’s worth noting, usually hover in the multi-hour range, so Chefs Club will offer the rare chance to forgo the usual queue while getting to enjoy some extremely solid burgers. This post has been updated with new information about the Au Cheval solo night.